Sharon Joanne (Spencer) Howard, 59, of Overland Park, passed away on August 31 from pancreatic cancer. She was born in Kansas City, MO, on September 3, 1958, to Ronald and Catherine Spencer. Sharon started playing nurse as a young child by taking her dolls outside and pretending they were in a hospital. 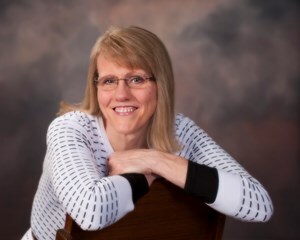 After graduating from Raytown High School in 1976, she studied one year at Olivet Nazarene University and then transferred to Avila University to finish her degree as a registered nurse in May of 1981. In 2001 Sharon graduated from Mid American Nazarene University with her MBA. She started her nursing career at St. Joseph’s Hospital. It was there she was introduced to oncology. She left St. Joseph’s in February of ‘86 to work in the office of a group of oncology doctors. In 1993 she went to work in neurology at Teva Neurosicence. She set up a network of nurses across the nation to train patients how to use injection devices for the drug Copaxone. In 2011 she decided to go back into oncology and began working as the Survivorship Nurse Navigator at St. Luke’s Cancer Center in Kansas City. She worked there five years and was instrumental in doubling patient participation. In 2015 she received one of three National Sunrise volunteer awards from the Look Good Feel Better program, a national program dedicated to helping women with cancer deal with the appearance side effects of cancer treatment. Her final job for the past two years was training patients how to use injection devices for self-administration of specialized treatment drugs. Her last patient visit was this summer when she was on the way to her own treatment session. Ultimately she became too weak to continue her work with patients. Sharon met Ron in a Sunday School class at Kansas City First Church of the Nazarene. They were married on July 14, 1989. She was active in church activities, and taught kindergarten Sunday School for 15 years. She loved being with young children and sharing God’s love with them. Sharon was an advocate of physical fitness and healthy eating habits. Starting in 1988 she made a commitment to walk every day. She would be sad if for some reason she missed her morning walk. Sharon enjoyed participating in the Monday night volleyball ministry at church; both playing and providing treats for “cookie break!” There was a time when numbers were low and it was Sharon who encouraged Ron to continue-even for the few. Ron introduced her to the mountains of his home state of Idaho. She enjoyed hiking in the pine trees of McCall and walking in view of the foothills of Boise. She even learned how to cross country ski. Sharon loved spending time with her nephews and nieces. She was faithful in attending and cheering loudly at their ball games and school activities, then having them over to the house for cookies or other treats. She was privileged to witness marriages and subsequent new additions to the families. In 2002, Ron & Sharon adopted a golden retriever. Jay Joy Sisler Howard (J. J.) truly brought joy and companionship into their lives. JJ traveled extensively with them, walked with them daily, was involved in competitive obedience and pet therapy with Pets For Life. JJ was their companion for 13 years. In 2016 they fell in love with a beautiful golden puppy while on a visit to Idaho. The new golden was named Emme Nell McCall Howard, which was a combination of favorite Idaho towns and Ron’s mother. An Idaho name for an Idaho dog. Sharon loved it. Emme is now two years old and has carried forth the tradition of companionship and caring for Ron and Sharon that was started in grand fashion by JJ. Sharon’s quick and contagious smile, her kindness to everyone she met, and her subtle sense of humor brought joy to all who knew her. She was a special gift to all of us and we loved her dearly. Although taken too soon from us, our grieving is eased by knowing she is at peace and painfree in Heaven. She was preceded in death by her parents, Ronald LaVerne Spencer and Catherine Mae Spencer. She is survived by her husband Ronald of Overland Park, sister Susan Mitchell of Overland Park, brother Stephen (Vonda) of Prairie Village, brother-in-law Quentin (Shirley) Howard, sister’s-in-law Marita (Dwight) Douglas and Joanne (Dave) York, ten nephews and nieces from the Spencer family, nine nephews and nieces from the Howard family, numerous great nephews and nieces, and her beloved 4 legged Emme. In lieu of flowers, gifts would be appreciated in Sharon’s name to either the Volleyball or Children’s Ministries at Kansas City First Church of the Nazarene (http://kcfc.org/give); or, to the national Look Good Feel Better organization (http://lookgoodfeelbetter.org/donors/donate/memorial-donation/). A public visitation will be held on Friday, September 7 from 5 pm to 8 pm, and a funeral service will be held on Saturday, September 8, at 2:30 pm. Both will be held at First Church of the Nazarene, 11811 State Line Road, Kansas City, MO 64114. Add your memories to the guest book of Sharon Howard. Some thoughts posted for some to read on Facebook in the night after attending Sharon’s funeral. What is now yesterday,I attended the funeral of an amazing lady. My life has been full of so many amazing people, I am richly blessed. She was not a loud person....she had no need to be the center of attention. Although, I didn’t know her as well as many that attended the service, I had not even known her for that long, but the number of folks attending her service and the words and memories of those attending were proof that what I saw and admired in this person was REAL. Through comments and thoughts of those attending it was evident there were simple yet priceless and rare traits found in this Godly lady. I do not know what her earthly wealth allowed her to give away to others, but what she used of her wealth given to her by her Heavenly Father, her God, her Lord Jesus Christ was bountiful. What were those riches and gifts she so freely give? They all flowed from her recognition of wanting to be used of God. She recognized that being used by God in the lives of others means often putting your needs, your agenda, your to do list and even your “my time” in the background for a bit. This special lady obviously had a mate that understood her heart and passion to be a blessing to others as well. I suspect he opens his heart, schedule and talents to be used in similar fashion. The specific experience and interaction I had with this saint was her recognizing that as my mother’s time on earth was coming to an end that there were needs our family had in knowing how to care for mom that the hospice team was not meeting. Being a nurse, she knew how and what to do to help us. She made trips to our home regularly to help us whether it was to change the bedding while mom was in the bed or help with bathing. My favorite part was when she would take time to just go sit on the front porch by the fountain and chat with one or more of us. Attention —- not the kind that pushes you out front and center, the kind that quietly sits and listens, remembers what you have shared not in some back biting way to bring it back up and make you feel small or even accountable to her. No it was to evaluate how she could comfort you, make you feel better, minister to you, pray for you or simply make a person feel like you were the only person that mattered at that moment. Time —- she took time and you never felt rushed/hurried. Many testified to her incredible willingness to attend different events with them or for them. Nieces and nephews shared how she attended so many of their events. Actions —-many shared of some of the very thoughtful and specific things she did that were basically customized for them. She took the time and listened closely so she knew exactly how and what to do that would mean the most to them. Intentional in a very good and positive way. Thank you Lord for bringing so many amazing people into my life just like this “jewel” that “reflected” you. Thank you Lord for bringing people into my life that are “real”. Thank you Lord for the folks that walked into my life that have been “caring” enough to show me where I need to “improve” whether intentional or not. Thank you Lord for friends that take “time” just to be friends no hidden motives or agendas. GOD help me first of all to be like you, but help me to learn from and live out what I have learned from the examples of those you have put in my life. It’s a great day....this is the day the Lord hath made. Rejoice and be glad in it! Go and be blessed and be a blessing to those you come in contact with. “Let your light so shine before men, that they may see your good works, and glorify your Father which is in heaven.” ??Matthew? ?5:16? ?KJV?? This verse comes to mind as I reflect upon my knowledge of Sharon’s life. Sharon invested her time, her experience and her love in our family’s lives as our mother was in hospice care at home. Sharon wasn’t a part of the medical team assigned to our mom, but a friend to our sister. But the love and medical experience/knowledge that Sharon had as a part of her skill set was offered ——Sharon’s light shined so brightly to our family, friends and neighbors. The assigned hospice team was missing the mark and Sharon quickly, gently and with the compassion of Christ filled in those gaps. Sharon was a blessing to many and a bright light for Jesus Christ to all that came in contact with her. To Ron and other family members...we will be praying for all of you. Ron and Sharon, both super wonderful neighbors. I love to walk and be outside, and I know my day was better when I would see Ron, Sharon, JJ and now Emme. Sharon would always smile and greet us (including a hello Chief), no matter what the weather, we were always walking "friends". I remember when the plum tree in front of the house was loaded with fruit, and she offered to let me pick the plums, and was brave enough to sample my plum sauce on ice cream. I remember this May 2018, when she offered to give me lilies of the valley flowers, and I told her the flowers were embossed on my wedding invitation, 33 years earlier and she told me how lucky I was to have Jim (like she had Ron). I loved sharing stories about our pride in the nursing profession, and know Sharon made a big difference to brighten everyone's day. All our love, Jim, Susan, Chris, Jacob, and Chief. My thoughts and prayers are with Ron and the family. It is a sad time in the Walmer neighborhood. Sharon and Ron have been wonderful, thoughtful, kind neighbors for about 25 years. I will miss Sharon because she was always thoughtful and pleasant to visit with and share some of her deserts with me. She was always considerate of my children and me. Lord, grant Ron peace and comfort. My deepest condolences to Sharon’s family and friends! And to her precious fur baby. I first met Sharon at the Plaza Cancer Center when I move from out of state!! I remember most about Sharon was her infectious warm smile.. The staff and patients all loved her as well as our physicians. I would see her over the years occasionally after I went to another office! Sweet Sharon (as I always called her) had a light for Jesus that is very rarely seen in today’s world. Such an amazing lady. I knew Sharon through my sister Martha. She came to visit my momma as she was passing & getting ready to see Jesus. My momma had her own hospice nurses but none like sweet Sharon. Sharon came on her own to make sure my momma had all the right care she needed. Sharon’s sweet spirit & kind words to my momma had an impact on my heart that will never ever go away. Every time my sister had a chance to meet up with Sharon we were always anxious to hear how Sharon & Ron were doing. Yes we got updates on the puppy too. The day Martha shared the news that Sharon had pancreatic cancer I knew God had a miracle waiting. It wasn’t the miracle that I thought & was praying would happen. I prayed for all the cancer to just go away but what an amazing & incredible God we serve. His miracle was for Sharon not to suffer anymore here on earth. He was waiting with open arms in Heaven where she will have no more pain and a glorious mansion waiting. Ron, I am sure it’s a difficult time but we can all rejoice in the fact we will see her in eternity. Jesus, please show Sharon which mansion is my momma & daddy’s so she can go visit my momma again. Sweet Sharon, I’ll love you forever! !